UTET is called a Uttarakhand Teachers Eligibility Test. Uttarakhand Board of School Education, Government of Uttarakhand conducts the UTET. Aspirants who are willing to apply for the test need to check eligibility to appear in the test. Here in this post, we will provide all the related information& links for candidates to apply for UTET 2019. UTET 2019 Online Application Form starts from 1st week of September 2019. UTET 2019 Online Application Form ends on last week of September 2019. Candidates need to fill the Online Application form, from the official website. Candidates must fill all their personal information carefully & also academic in order to apply for this exam. Candidates need to upload their documents only a scanned copy. Candidates need to read all the guidelines which are mentioned on the official website. Application Fee & OMR form starts from 1st week of September till 4th week of September 2019. Candidates need to fill OMR form by paying Application Fee. 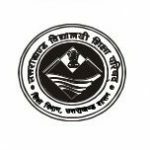 Candidate will get OMR form from the nearest post & they need to send through speed post/registered post to the prescribed address of the office of Secretary, Uttarakhand School Education Council, Ramnagar, Nainital pincode – 244715. Candidate must not be more than 38years & not less than 18 years. Candidates who have passed 2year BTC course from an institute affiliated to NCTE. Shiksha Mitra who have passed 2years Diploma (D.El.Ed) from IGNOU. Candidates studying in Final year/passed D.Ed in an institution recognized by RCI. Candidates must pass HSC with minimum 50 % marks & should have passed/currently study the B.El.Ed. Candidates Obtained 50% marks in Graduation and PGfrom a UGC approved institute and must have passed or currently studying in 2nd year of B.Ed/L.T/Shiksha Mitra in an institute affiliated to NCTE (National Council For Teacher Education). Candidates must have passed graduation with minimum 50% marks and currently studying/passed 1-year B.Ed (Specialization) from an institute affiliated to RCI (Rehabilitation Council Of India). Mathematics The test items of Mathematics and Environmental Studies shall focus on the concepts, problem-solving abilities and pedagogical understanding of the subjects. In all these subject areas, the test items shall be evenly distributed over different divisions of the syllabus of that subject prescribed for classes I – V by SCERT. (Hindi) Teaching Learning Materials, Principles of Teaching English, Unseen Prose Passage Comprehensive & Continuous Evaluation, Development of Language Skills, Teaching, Learning Materials, Unseen Prose Passage, etc. (English, Urdu, Sanskrit) Basic knowledge of English Sounds and their Phonetic Transcription, Modal Auxiliaries, Phrasal Verbs and Idioms, Literary Terms, Unseen Prose Passage, Unseen Poem, etc. Water, Clothes dresses & their care, Natural Resources, Our Punjab, Solar System, Basic, needs, Food, resources and care, Our Surroundings, Group songs, Health, good habits & personal hygiene, Living and nonliving, Looking at the trees, plants & animals, Parts of plants, etc. Language – I (Hindi) Teaching Learning Materials, Principles of Teaching English, Unseen Prose Passage Comprehensive & Continuous Evaluation, Development of Language Skills, Teaching, Learning Materials, Unseen Prose Passage, etc. In this, questions will be based on Social science, Intentions & pedagogical Knowledge. Candidates can download their UTET Admit Card from official website on the 4th week of November 2019. Candidates must note that the UTET Admit card is an essential document and they should carry to the Exam center. Candidates can download the UTET admit card from the official website. UTET Admit card will be available before a week prior to the Exam. Candidates must not forget their Admit card on the day of the exam, otherwise, he/she shall not be allowed to seat in the exam. UTET Result will be disclosed soon after the exam. UTET Result will be declared on the official website. Candidates who clear the Entrance Exam will be eligible for a personal round interview. Participants selection process will be done based on the performance of the UTET Entrance Exam conducted by the Uttarakhand State Government. Participants will be shortlisted on the basis of marks scored in the Entrance Exam. All qualified Applicants will have Seven years of the validity period for UTET certificate from the date of result announcement for all category candidates (consisting both reserved & unreserved category). For any other queries about UTET 2019, you can leave your questions below in the comment box. Plzzz tell m uteet exam centre Agra nahi hai ? ?